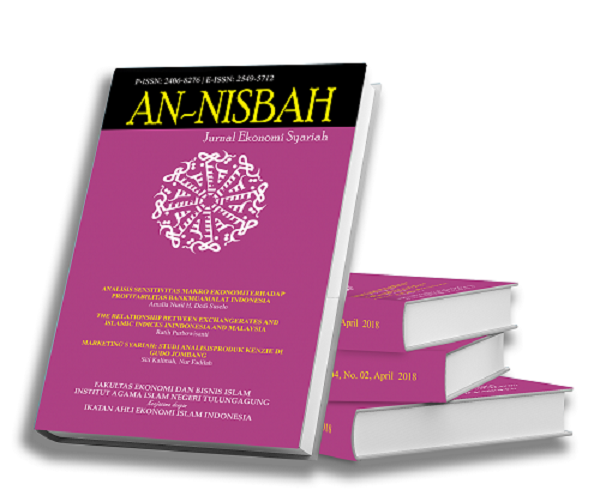 An-Nisbah: Jurnal Ekonomi Syariah (P-ISSN: 2406-8276, E-ISSN: 2549-5712) is a scientific journal contains original works from lecturers, researchers, students and other concerned parties who have not been published or are not on the publication in the form of articles on the research and conceptual ideas on the subject of sharia economy. This journal publishes twice in a year on April and October, which spread throughout Indonesia and South East Asia in printed and online. Since february in 2019, The Indonesia Ministry for Research and Technology (Kemenristek RI) has granted The An-Nisbah as one of referred publication (accredited with Sinta 4) on sharia economy (SK Dirjen Ristek Dikti No. 3/E/KPT/2019). This official recognition will be valid until 2024. An-Nisbah: Jurnal Ekonomi Syariah is published by Faculty of Islamic Economic and Business (FEBI), State Islamic Institute (IAIN) Tulungagung, East Java, Indonesia. The entire article can be accessed at http://ejournal.iain-tulungagung.ac.id/index.php/nisbah. An-Nisbah: Jurnal Ekonomi Syariah is intended to be the journal for publishing articles reporting the results of research on Sharia Economy. Topics of interest for submission include areas: sharia economy, sharia business, sharia management, and sharia finance. 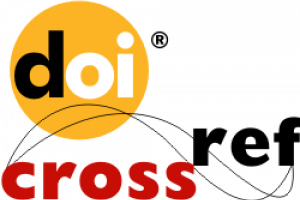 All manuscripts must be submitted via OJS (open journal system).